A sturdy wall phone, built to miltary specifications, with a striking finish. Here is a freshly chrome plated wall phone, built by Connecticut. It is the wall companion to the TP-6. 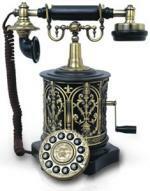 The phone is all original, with the exception of the cords which have been replaced. This phone is extremly unique as it looks just as good on the desk as it does on the wall. It is fully functional in capacities. 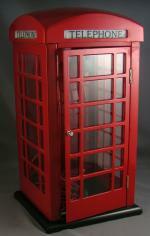 The phone features and internal ringer and is wired for use on todays modern phone systems.